Imam Shakir was born in Lima, Ohio , and raised in upstate New York. In 1977 he attended Wilberforce University in Wilberforce, Ohio where he majored in Accounting and Business Administration. As a child, Imam Shakir was raised in the Baptist tradition until the age of fourteen when he was first introduced to the religion of Al-Islam (Islam). At the age of sixteen he embraced Al-Islam under the leadership of Imam Warith Deen Mohammed, now deceased (October 30, 1933-September 9, 2008), (Muslim American Leader, Son of The Honorable Elijah Mohammed, and Former Director of The Mosque Cares). In 1983 he was elected Resident Imam (Leader) of the local Muslim community in Schenectady, New York at the age of twenty five. This was the beginning of Imam Shakir’s leadership and ministry. 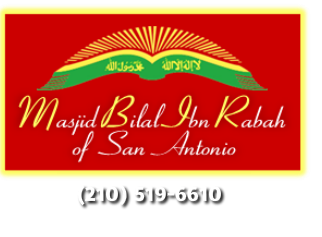 In 1986 Imam Shakir moved with his family to San Antonio, Texas. In 1988 he was elected Resident Imam of Masjid Luqman in San Antonio, Texas a position he held until 1996. During his eight-year tenure he received two Outstanding Leadership Awards, one in 1988 and the other in 1991. In 2002 he received an interfaith award for Religious Man of the Year for his interfaith and community initiatives. Imam Shakir is a regular participant in ecumenical services and interfaith dialog. He lectures at many of the local colleges, universities, and churches on the religion of Al-Islam. He has done several local and cable public access TV shows on Al-Islam. In November of 2002, in recognition of his interfaith efforts, Imam Shakir was invited and did attend an International Interfaith Summit in Rome, Italy promoting unity and universal brotherhood. In January of 2005 Imam Shakir fulfilled the fifth requirement in his religion, which is to make the pilgrimage (Hajj) to the sacred house in Mecca, Saudi Arabia. Imam Shakir has also traveled to Egypt and Turkey. In addition to Imam Shakir’s regular interfaith participation, he has received a number of awards for his service. He is an award recipient from the Council on American Islamic Relations (CAIR). He was also the 2012 recipient of the Peace Center’s Peace Laureate Award. In 2013 the Baha’i Community honored him with the Humanitarian of the Year Award. For the past several years Imam Shakir has delivered invocation at the Blessing of the City Officials hosted by San Fernando Cathedral Interfaith Initiative. He also serves as a regular supporter of the MLK Commission’s MLK event. Imam Shakir is involved with the Peace Center’s CompassionNET project, an initiative to make San Antonio a model city for compassion amongst people of all cultures. He and his community have also participated in Mayor Julian Castro’s SA2020 civic initiative. 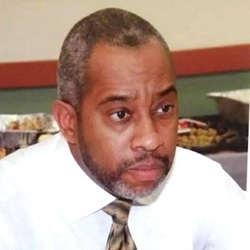 Currently he is Resident Imam at Masjid Bilal Ibn Rabah of San Antonio, Texas, and employed by the Texas Department of Criminal Justice as a full-time Imam (Chaplain). As Chaplain, he serves the State of Texas prisons and jails teaching, counseling, mentoring, and resolving conflicts for the inmate population and the department’s employees. He is married with three children, one daughter and two sons who are active in the community and in the field of education.